For the Tibetans at home and abroad, 10 March symbolises one of the saddest events in recent history. On 10 March 1959 the Tibetan uprising against Chinese rule failed. Subsequently, the young Dalai Lama and the ruling elite went into exile to India. This year we are commemorating our defeat for the 50th time – half a century! The Chinese government, on the other hand, in a euphemistic move reminiscent of the Cultural Revolution, declared a “Serf Emancipation Day”, and ordered the Tibetans to be happy and celebrate it. I can hear you say “this is sick and they have no shame” - as if we don’t know already. When the Chinese invaded our country half a century ago, they hit the perplexed Tibetans on one cheek. And when the Tibetans offered them the other cheek by accepting Chinese sovereignty in exchange for local autonomy, the Chinese hit the other cheek too. Still, we keep bouncing back, because if there is one thing in this unequal fight that we are better at than them, I’d say it’s stubbornness. Under Mao, the Tibetans had to be as quiet as a mouse, the only goal being the naked survival of the race. Still over a million are said to have died as a result of the political craze. After Mao came Deng, who declared many of the previous policies as too extreme; there was a careful rapprochement between both sides with Dharamsala sending three “fact-finding missions” to Tibet. For a short time, there was a glimmer of hope for a bilaterally satisfying solution. But then Deng died before anything tangible on Tibetan issue could evolve and his most promising successors, Hu Yaobang and Zhao Ziyang, disappeared faster than we could say Tashi Deleg. Jiang, who emerged as the prime leader, didn’t intend to carry on his predecessor’s Tibet work, and today with Hu as the prime minister, the Tibet hardliners are back in charge. As far as this leadership is concerned, there’s nothing to talk about. We could be talking to a wall, the result would be the same, it’s “the long and winding road”. So after fifty years of struggle, we find ourselves badly wounded and without any political progress worth mentioning. Yet to us, what counts is that we’re still standing, and that we’re still determined to give them hell because we have no doubt that our stubbornness will outlast their rigidity. Hopefully, we’re also growing smarter after each round? If so, we should be asking ourselves what to expect in the next round after Hu and how to prepare, rather than gloating over sideshows, which have been a repetitive hang-up since the days I can remember. A recent sideshow was pressuring each other into not celebrating the Tibetan new year. It makes perfect sense not to celebrate if you are on Tibetan soil, because it gives a clear message to those in power in our land. But we folks abroad overdid it with our solidarity with the most extreme ones among us discouraging others from baking Khabsé (new year cookies) or sending ridiculous “no Losar” greeting cards to each other. Wasn’t it agreed not to hold lavish festivities out of respect for the compatriots who suffered directly or indirectly as a result of the crack-down last year? What’s lavish about a stupid Khabsé? Why do some of us always permit themselves to miss the point? Another sideshow, albeit of monumental proportions, has been the surreal move to eradicate “demon worshippers” in our midst. It’s been an evergreen since the mid-1990 with the gruesome prospect of continued intensity. A sideshow of the 1980s I vaguely remember is the “Taiwan payroll” fuss which culminated in inciting each other to mob those compatriots, institutions, and organisations who were alleged “Taiwan salary receivers” (Taiwan phok zakhen). Only after relations with Taiwan normalised with a representative office of the Dalai Lama opening in Taipeh, the witch-hunt subsided. I wouldn’t be surprised if the 1970s and 1960s also had their share of sideshows. I’m probably just not old enough to remember. Looks to me like sideshows have been a favourite hang-out of the Tibetans abroad. Too bad for us though, they always seem to aim against something - usually ourselves - and almost always unfold as a compulsory exercise taking on a self-destructive dimension. The political impact of these supposedly “patriotic” actions vis-à-vis China has always been zero. Makes me think of what the old days in Tibet must have been like when one part of the ruling elite was consumed with getting mentally ready for life beyond this one, and the other half spent most of their time picnicking and intriguing. We paid a high price for not getting our national priorities right. We should always remember that the failure was colossal: It made the Chinese grab possible in the very first place. Since then, the following generations - folks like you and me - have been desperately trying to mitigate the damage. The last thing I’d want is for my kids to blame me for not having done enough to win our country back because I was engrossed in “no Losar” battles and the likes. That’s exactly why on this 50th anniversary of Tibet being run by a foreign power, those among us who are seriously committed to political progress, must renew their focus on developing long-term plans on how to cope with that challenge. That’s the big picture. Everything should flow from here. Whoever is seriously pursuing the long-term goals won’t have time left for senseless distractions in some self-lacerating sideshow. There are a number of ways in which regular people like us can contribute to political progress in a strategic way. We must not wait for Dharamsala and Beijing. We are free to act on a personal level - the guerilla way. The one crucial area we have been neglecting in the past is Chinese public opinion. A lot has been achieved in influencing Western public opinion, but the ones who make the difference for us are the Chinese. Only they can change themselves. No one else can make them change. That’s the lesson learned from 50 years of lobbying the West to pressure China into cooperation. That doesn’t mean we have to stop lobbying the West. That work must continue. But we must increase our efforts to systematically lobby the enemy and turn him into a friend. 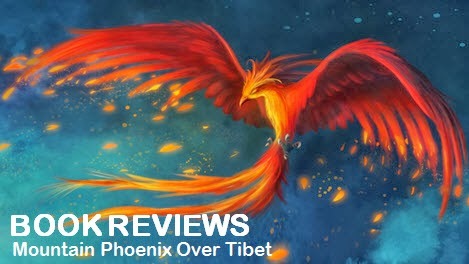 phayul.com carried a story published in the The Times Online on 18 March 2009 about young Tibetans blogging in Chinese social networking sites with the aim to change Chinese attitudes. That’s an excellent example of a guerrilla tactic in the age of the internet. Another superb way to influence Chinese public opinion is indirectly via the Buddha Dharma. By now, we have so many Dharma centres all over the Chinese-speaking world: Taiwan, Singapore, Malaysia, Hong Kong. These serve as discrete cultural change agents. The Lamas heading these centres don’t have to do anything different from what they already do. No hidden agenda. No politics. Just keep on with the pure Dharma as you have. That will work wonders on the Chinese mindset. We can already observe spill-over effects into the mainland today: My monk-cousin from Tibet regularly visits students and benefactors in Shenzhen and other Chinese cities. He keeps telling me these rgya (Chinese) really appreciate the Buddha Dharma and by extension also Tibetan culture and that they do a lot on an individual level to help Tibetans by funding schools and donating to monasteries. Also, remember Larung Gar? A lot of those students were from the mainland. The government destroyed their quarters and chased them away, but they are there still in China, and they are for sure remembering the kindness of their Lama and waiting for a better time to become supportive again. What we as individuals can do to facilitate the beneficial political side-effect of the Dharma centres is to help organise financial support, or if you are spiritually inclined, join one and help with the management to support their work. It’s only a matter of time until the Chinese mainstream will realise that our Lamas are not “sucking the blood of the people” as the government wants them to believe. Those obsessed chauvinist folks who pester internet forums with their hatred do not represent the average opinion in China, I am convinced. Normal people don’t hang out in internet forums. Normal people tackle problems in real life. In Tibet proper, the civil rights or disobedience movement has enormous potential. Woeser is a good example. She is one courageous woman. Many more like her will be emerging all over the highlands. What we can do from here to support people like Woeser is to help spread reports about her activities by using modern information technology. The more she is known abroad and in China proper, the better she is protected from arbitrary treatment by the authorities. To this day, they have not dared to harm her although she has been extraordinarily outspoken. They restrict her movement, but that’s been about it unlike some of those desperate and unfortunate no-name rural protestors in Lithang or Ganzi of late. Also powerful are grass roots movements such as the farming boycott reported in Lithang and Dartsedo/Kangding lately. Those must be a real embarrassment to the Chinese authorities who claim that the majority of the former “serfs” are very happy under China. Or imagine folks deciding to boycott industrially processed salt from the Chinese and instead, decide to walk to the Changthang to get their own Tibetan salt, like Gandhi. Imagine the power of the symbolism. This is not just my crazy idea. It could really happen. First only a few families would travel to the Northern Plains, but more would follow. Eventually, it would become a movement, just like the farming boycott. The more we talk about these campaigns, the more people will learn about them and apply similar techniques also in other areas. Over time, people’s civil rights consciousness becomes stronger. People will get a clearer idea of how far they can go without putting their heads on the line. This type of resistance is also very much in line with the Tibetan core value of non-violence. It’s our turf. It’s guerilla warfare based on our preference. Another important area to work on for a direct impact is ourselves. Because we don’t know how long the next round is going to last, we’d better prepare ourselves to endure. So any measure to strengthen the Tibetan identity counts. While we study hard and work tirelessly to successfully integrate into the culture of our host-country or the larger culture, at the same time, we must systematically strive to keep our Tibetan identity alive, strengthen and innovate it. That’s valid for all of us, whether we live abroad or in Tibet among the Chinese. We must also intensify communication between those abroad and those at home. We can engage in many projects by circumventing the politics and focusing on what is of immediate relevance: Decent jobs, a good education for the children, adequate housing, language, religion, environment, and civil rights. Tons of non-confrontational project ideas with a direct impact on our folks! What we need are bold and creative folks who are not frightened off by government bureaucracy and arbitrariness or get discouraged because everyone around you speaks Chinese. All those who don’t just want to sit there and wait for Dharamsala and Beijing to sort it out, this is our battlefield. While “guerrilla warfare” prepares ourselves to cope with the worst, at the same time, we must stay alert for the unexpected. Our dream could suddenly become true - sooner than we may think - with things going out of control in China and a new, more receptive type of political leadership emerging. For this we should be prepared. Dharamsala should be prepared. That’s when the big players come back into the picture. I hope they have scenarios worked out and how to push our agenda. It’s going to be a crucial point in our country’s relationship with China. Maybe the chance of a life-time. The worst thing that could happen to us then? - Dharamsala caught unprepared because they’ve been hung up on some sideshows that are going on. We, the Tibetan people, must proactively prevent that by boycotting them altogether and asking those who are supposed to represent our common interest to focus on the beef.